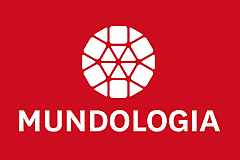 In 2003 Tobias Hauser founded the first MUNDOLOGIA Festival in Freiburg, Germany and initiated the MUNDOLOGIA series. Every year since then, renowned photographers and photojournalists from Germany, Austria and Switzerland have delighted a large audience of more than 45 000 total visitors with their reliably high-quality presentations. MUNDOLOGIA is an impressive success story. The interest in the presentations led to the continual increase in the size of the audiences, such that the MUNDOLOGIA Festival and the MUNDOLOGIA-Series in different cities reached more than 45.000 total visitors per season. The MUNDOLOGIA Festival is meanwhile the largest European festival for photography, adventure and travel. The program of MUNDOLOGIA is entertaining and a festival of the senses, yet simultaneously strives to be a contribution for better understanding of foreign cultures and ways of living. In addition to their technical abilities and their lust of adventure, the photographers and journalists who present their work within the framework of MUNDOLOGIA, therefore, distinguish themselves through a personal interest in the unique and distinctive characteristics of the various countries and their peoples. Empathy, respect, and the will to look beyond the tourism attraction are also important elements. The current festival program and further information can be found under:www.mundologia.de.